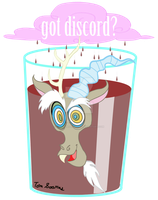 Nice drawing of Discord! More chocolate milk! Gravity defying chocolate milk? I can dig that.